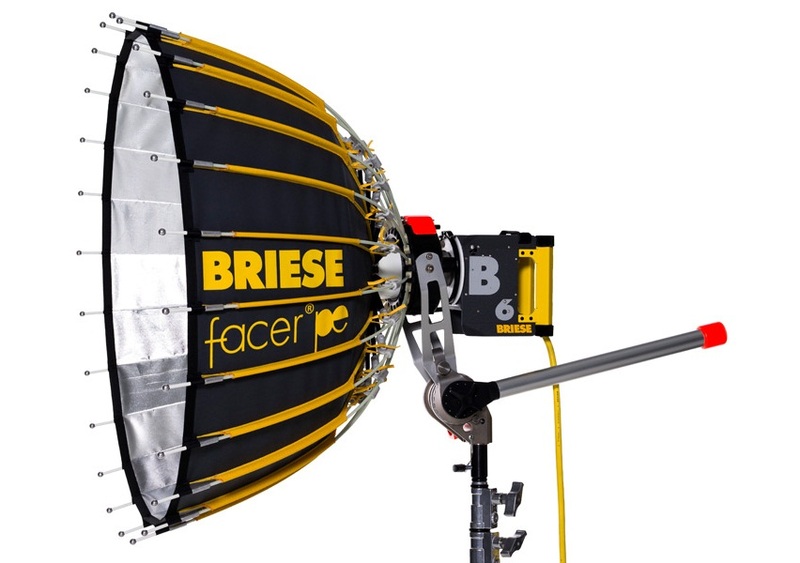 Created in response to the demand for a beauty dish, Briese has recently introduced the Facer umbrella. Designed especially for sculpting light for faces, the new Facer creates an incredible brilliance. Intended for use with close-ups, the Facer is also very effective for full body portraits, as well. As with all Briese equipment, the Facer system features a lightweight and sturdy design offering minimal transport size and minimal assembly. The Facer is compatible with the H2 (2K Tungsten) lamp head, as well as the 1.2K T4 lamp head.